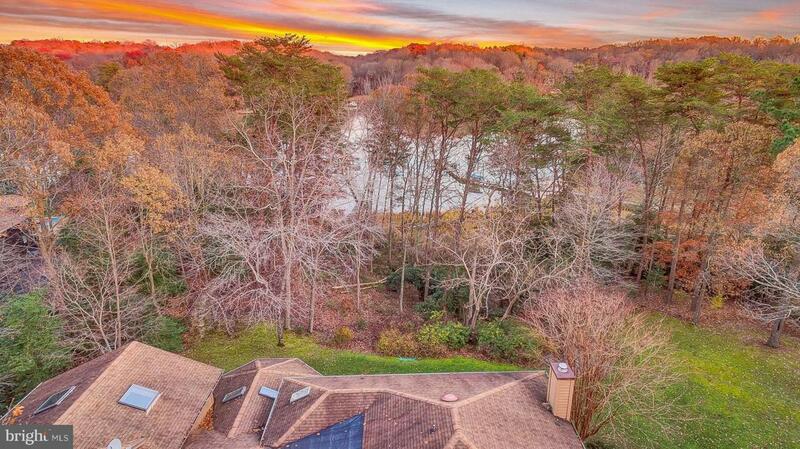 Make lasting memories on Saint Leonard Creek with this private waterfront retreat situated on over 2 acres. 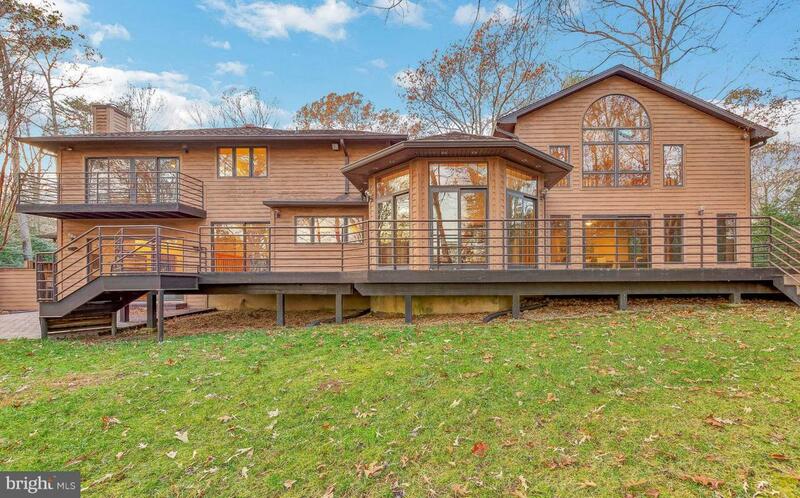 Circular wooded drive leads you to this custom contemporary with 6 bedrooms, 4 full baths, 3 car garage and breath taking water views. Private pier is a water lovers delight with boat lift and jet ski lifts giving you the ease to head out to the Patuxent River, Chesapeake Bay and beyond, or, stay at home and enjoy fishing and crabbing right off the end of the pier. 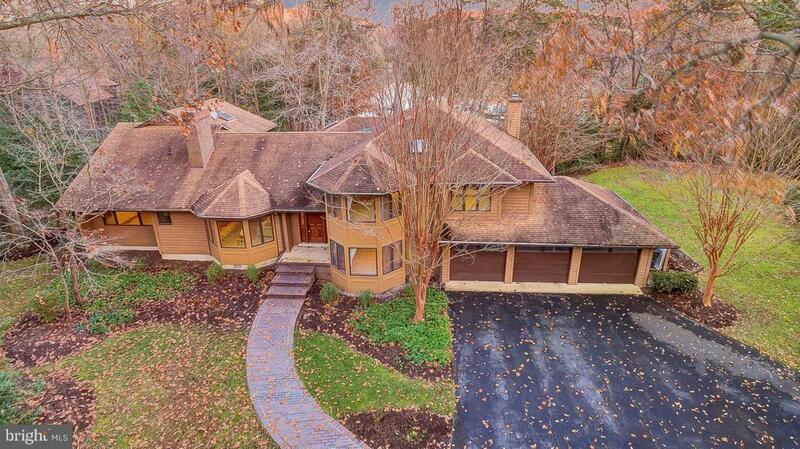 Inside this spacious home you will find room for everyone. Grand open foyer leads to one of two family rooms each with its own fireplace. Gourmet kitchen has all the bells and whistles and overlooks second family room with custom built bar and fireplace making entertaining a breeze. 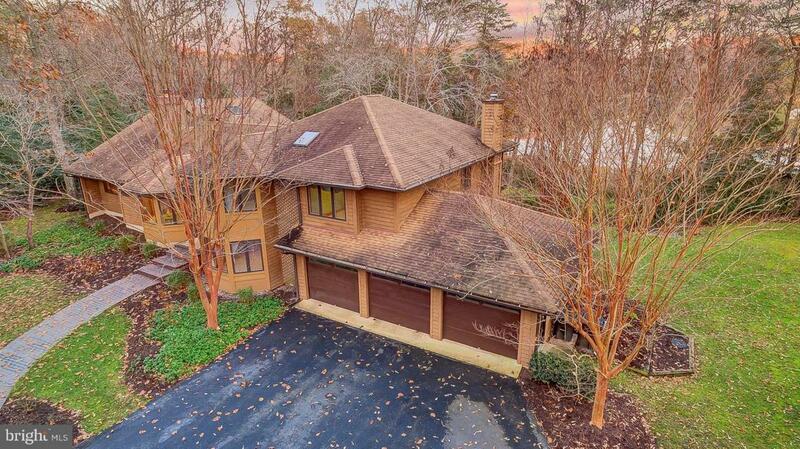 Enjoy your morning coffee with panoramic views of the water from sun room with vaulted ceiling. Huge recreation room leads to loft area with possibly the best water views from inside the home. This area is able to be closed off from the rest of the home and would make an incredible first or second master suite as it includes private bath. You will also find the dining room, additional bedroom, full bath and laundry room on main level. Head to the upper level to find master suite with private balcony overlooking the creek, master bath where you can soak you cares away in the tub, also with water views. There are three additional bedrooms and a fourth full bath on this level as well. Back outside, enjoy the expansive creek side deck that runs the length of the home and wraps around perfect for an outdoor summer party. This property also features a full house hard wired 50KW generator that will never leave you in the dark. Outbuilding currently used for storage would make a wonderful pool house for future pool. This is the one! Inclusions Full House Commercial Grade Generator Hard Wired into The Home.